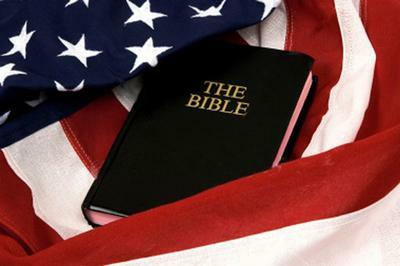 What has happened to the slogan "In God We Trust"
And to our great motto "One Nation Under God"? I pray to this cause we will always stand in awe. So what has happened to our great country now? How has it suddenly changed with us somehow? Was it when God's principles were thrown aside? Was it when God was no longer allowed to abide? Was it when our great country turned to wrong? Was it when God's people did no longer belong? Was it when our country's evil was now the good? Was it when the good was taken from sainthood? Was it when the Bible's word was no longer allowed? Was it when we could no longer pray in a crowd? Was it when the church stopped its holy preaching? Was it when the church stopped all its godly teaching? Was it when came the many Me, Myself and I's? Was it when all wanted a share of America's pies? Was it when sitting for the pledge was not wrong? Was it when kneeling for the flag was now the song? Was it when the family circle was torn apart? Was it when the family name had lost all its heart? Was it when we no longer could speak our mind? Was it when speaking out in public became a crime? Was it when we could no longer protect our home? Was it when we could not catch the evils that roam? Was it when the country started the social airwave? media hearsay failed to save? Was it when the future was taken over from within? Was it when the future was taken over by inbred sin? Was it when we no longer bleed Red, White and Blue? Was it when our great country no longer remained true? Was it when now to America we place hand over heart? Was it when now to America's country we will not part? Was it when now to America we sing with one accord? Was it when we now sing with one all blessed Lord? My country 'tis of thee. Sweet land of liberty. Amen! Evangelist Billy Sunday once said, "Christianity and Patriotism are synonymous terms, and hell and traitors are synonymous." Yes I'm proud to be a freedom-loving American. I'm proud of being a freedom-loving Christian first and a freedom-loving patriot second. And I'm proud to enjoy the Bible first and our founding fathers' dictates second. Scripture is quick to pronounce that we are aliens and strangers in this land (1 Pet. 2:11). We should always remember that our citizenship is in Heaven. (Phil. 3:20). So will you come and sing with me?